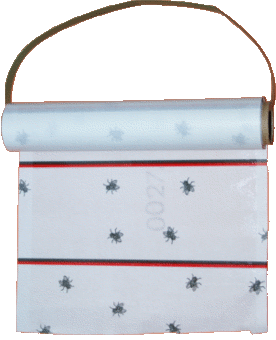 Sticky Mini Roll is designed to catch flies in all kinds of areas. Place the trap near windows, lights and other places where flies accumulate. Hang up the roll and pull out the desired length of sticky paper. Outside: place on the south facing side of your shed or coop below the roof overhang to protect from the rain. Exceedingly effective for outdoor use. Ideal for smallholdings, poultry farms, dairies, or anywhere plagued by flies every summer. 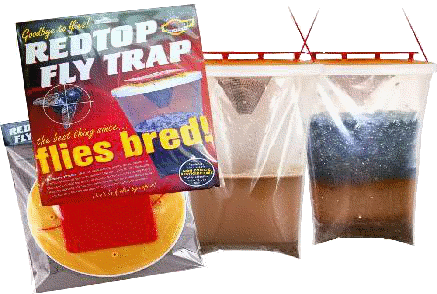 Low cost easy to use, disposable, catches up to 20,000 flies each trap and once trapped they can't escape. Bait is especially appealing to female flies, so reduces the next generation. Simply hang the fly trap in direct sunlight away from the area you wish to protect. Bait lasts up to 12 weeks. 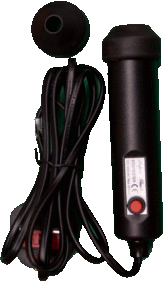 A digital scale accurate to 0.1g. There are many similar small scales on the market. 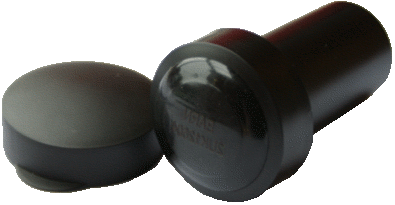 This model has been thoroughly tested by ourselves and was found to be the most effective for weighing eggs. Its main advantage is that it has a very fast stabilisation time, (1 second or less) essential if there are several hundred eggs to grade. 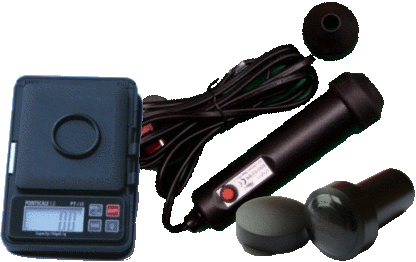 Also, it has a test weight for calibration (DEFRA may test your eggs to make sure they have been accurately weighed). There is a back light so that the scale can be read in a darkened room (candling of eggs is easier in a darkened area). 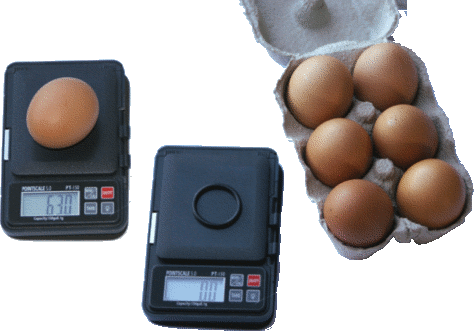 When purchased from Cheshire Chickens the scale includes an advice sheet on grading eggs, a pre tested scale set up and ready to use and an “O” ring to centralise the egg on the scale. Runs off AAA batteries - included. 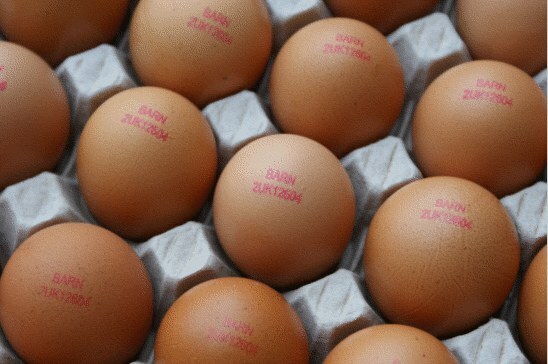 Grading of eggs will be of most interest to people who have registered with DEFRA as a packing station. This will allow you to sell your eggs to retailers and caterers and allow you to keep an unlimited amount of laying hens. You will need to have your UK Producer number, which is obtainable from DEFRA if required, before ordering. A short line of text can be added above or below the number. Some examples below. This stamp is truly remarkable. With a little practice it can stamp 5,000 to 7,000 eggs per hour using just one hand which is faster than the professional printer fitted to my egg grader at a cost of £4,000. The printing is much sharper and very much more reliable too.